ABR Relaxing Part 4 MOC Requirements - Good for Quality? Relaxing the Quality MOC Requirements – Good News or Bad Omen? In September, the American Board of Radiology (ABR) released a set of expanded options for satisfying Part 4 Requirements for its maintenance of certification (MOC). The biggest change includes the ABR’s willingness to include additional areas (16 of them) of involvement in departmental quality and safety other than Practice Quality Improvement (PQI) as qualifying requirement. New ABR MOC Part 4 relaxes definition of what constitutes quality and safety. Improvements to MOC Part 4, Practice Quality Improvement (PQI)–recently adopted by the ABR Board–consist of providing considerably expanded options for meeting the requirement. In addition to employing the traditional PQI project approach to Part 4 using the PDSA (Plan-Do-Study-Act) methodology, diplomates may now count personal participation in one of a variety of quality and safety activities to meet the criteria for Part 4. The attitude one takes towards this depends on what one believes the MOC is supposed to achieve in the first place. If the MOC gives radiologists a reason to take a more active role in departmental affairs in the name of “fulfilling a requirement” whereas previously they may be discouraged or logistically prevented from doing so. The new definition of requirements other than PQI projects – best known as PDSA cycles – is a welcoming interpretation of quality improvement (QI). 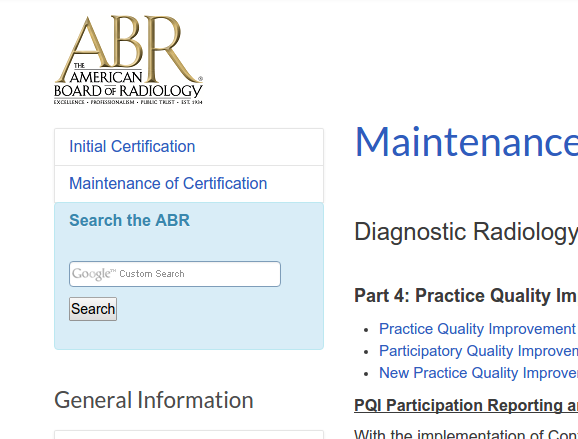 While the old PQI system may inadvertently encourage one-off “QI projects” for the sole purpose of maintaining Part 4 certification, the board is now willing to embrace radiology quality as a continuing process in many forms. Conversely, PDSA isn’t necessarily about QI – it’s just the Newtonian scientific method paraphrased, and you can butcher the methodology easily just like you can in scientific research. With this policy, the best case scenario of this new policy would be a radiology department filled with providers evenly distributed across these 16 items as well as conducting measurable metric-driven QI projects. The truth will be far from this, but to the extent a more relaxed requirement allows us to be involved in QI more broadly, I welcome this new definition. Unlike scientific research which aims for generalizability, quality improvement is institution specific because many measurable metrics are institution specific, and shifting the responsibility of attestation to the diplomat helps increasing the precision of what constitutions good QI work. However, relaxing the QI requirement probably also invite more meaningless work aimed only to meet requirements without definite means of accountability. 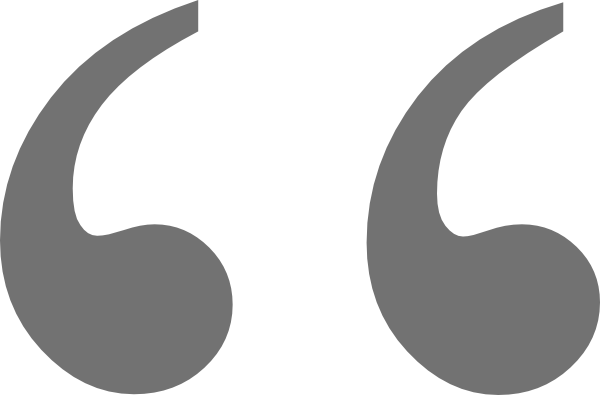 In the end it remains to be seen whether the relaxed definition of quality improvement would invite increased provider involvement or backfire. This entry was posted in Radiology Innovation and Quality and tagged Quality, Radiology. Bookmark the permalink.